People born under this week are full of drama and criticism. They are artistic, serious critics and skilled workers. This period can be linked to peak of maturity. It can be linked to theme of drama and criticism where one put his whole hearted energies and thinking get his goal such an attitude can lead to profound changes in personal relationship and business platform. 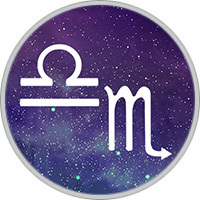 Libra Scorpio cusp may take lot of criticism to prove their big personalities right or wrong. Their influence is temporarily dominating but in long run it is highly charismatic. This cusp has almost knowledge related to any subject and they can speak on any given subject. They are the professional teachers, puppet makers, actors and great astronauts. It is a combination of charisma and aggression. They are generally benefited from physical exercise, sound diet and fitness training. They have always healthy connection with the world. People born under this week have twin danger one is personal in fallibility and second is tendency of over rigidness and over critical. Those who intimate with them have to fight back against their negative attitude and unexpected nature. Sometime they have to act rigid to put them on line. They are highly responsible in day to day pursuit of course they are dramatic and impulsive in their routine. They are flamboyant and exhibitionist also. They always want others to notice them and appreciate them. In love and romance they should be away from addictive tendencies. In such relationship they are deeply attached and emotional and they demand more which can be resulted to painful parting and break-ups. They are most successful in structural relationship. They can be the best combination of marriage in such bond they can overcome almost every difficulty arise in this relationship. They are wonderful children, good student and respectable parents. Persons born on the Libra-Scorpio cusp can be very critical. They may be in demand when an honest critique is needed, as they often hold nothing back. Likewise, they may be avoided for their scalding tongue. They may mistrust their intuition. While they are usually coolly objective on any subject, they can also be a bit wild. Once they are committed to a course of action, they will most likely see it through to completion no matter how difficult it may get. Libra-Scorpio may have some conflicts between what they know intellectually and emotionally. They are charming and attractive, despite their potential detachment. They need to learn to relax and have some fun. Libra-Scorpio needs to keep themselves open to unusual experiences. If they persist against the odds and don’t run away, they can be leave their past behind and embrace whatever is to come. While it is easy for them to be cynical and sarcastic, this attitude can hurt them immensely. Libra-Scorpio has trouble letting go. They want everything to be perfect, and if something has to be presented in a lesser state they suffer embarrassment. The Cusp of Drama and Criticism is known for their ambition, intensity, powerful, mystical, loyal, romantic and playful attitudes. They can also be lazy, stubborn, sly, manipulative, sarcastic, volatile, self-indulgent and dictatorial. They do work hard and have a strong sense of sexuality about them. Those born on the Libra-Scorpio cusp are tenacious. They can be very jealous of others, and may be untruthful. They like to keep a neat appearance. They almost always can come out fine no matter what predicament they get themselves into. They are competitive, positive and conscientious. This innate determination sees them through many rough times. They are independent and they don’t like others to meddle in their projects, no matter how well-intentioned they are. They are charismatic, dramatic and determinative but additive, rigid and impulsive. Criticism and sarcasm are poison to you. Do not have a tendency to self pity. In spite of criticism and impulsiveness neutralize your tendencies and embrace the future.